Make the most of your Hot Tub Experience outdoors 365 days of the year, dodge the rain or shade from the sun. Here at Aqua Hot Tubs, we have partnered with The Lapa Company to provide 3.8 and 4.2 metre Hot Tub Gazebos, see the models below. The simple, elegant design of the African Spa Gazebo not only creates privacy for your hot tub or spa but also creates a stunning focal point in any garden. 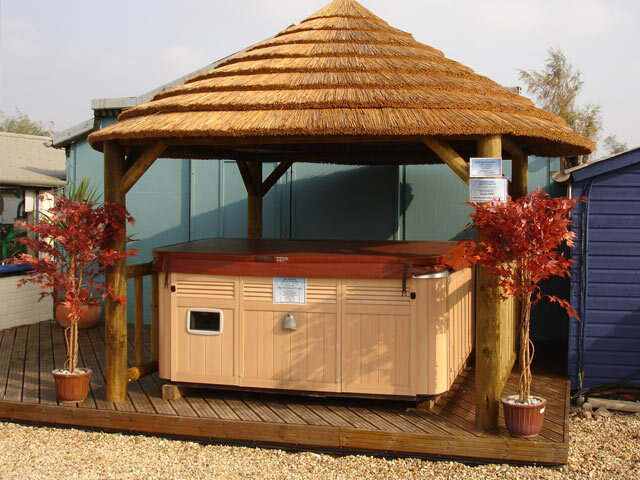 Manufactured from the highest quality machined timber and featuring a unique thatched roof, it is large enough to cover the biggest spas. The thatch roofing system is easy to install and means that the gazebo can be supplied fully assembled or in kit form for self-assembly. 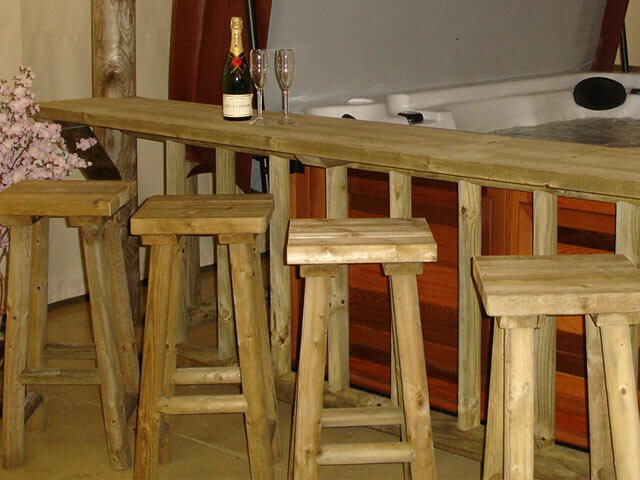 We can also provide accompanying accessories for your Gazebo, add a bar to create the perfect social occasion! 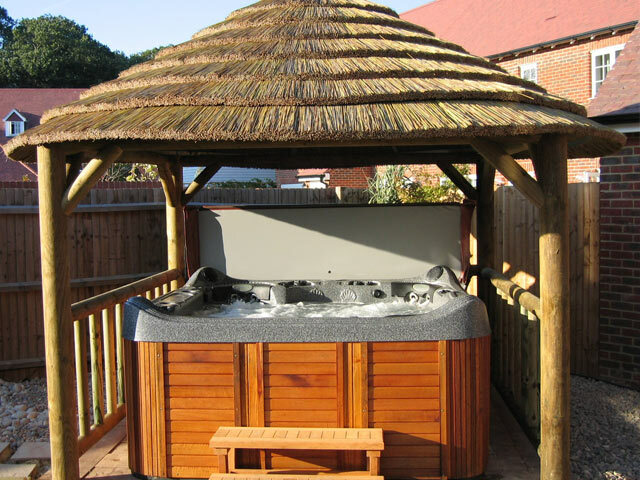 Or speak to our friends at Quality Garden Buildings about their custom configurable gazebos and log cabins, especially great for swim spas, saunas and steam rooms. With interest-free credit you pay a fixed, 0% interest, monthly payment over 12 or 24 months. Choose your hot tub, pay a deposit of 25 or 50% and take delivery of your hot tub. You pay the balance 6 MONTHS LATER with NO INTEREST TO PAY (a small £35 admin fee applies). If you choose not to pay the balance in full, the agreement will automatically revert to an interest-bearing rate of 1.17%pm over 42 months. Interest-bearing finance is where you have fixed payments each month. You can choose a finance package to suit you over 2, 3, 4 or 5 years. Give us a call on 0118 940 6002 or 01895 347915, or pop into one of our showrooms or discuss the options during your free site survey. 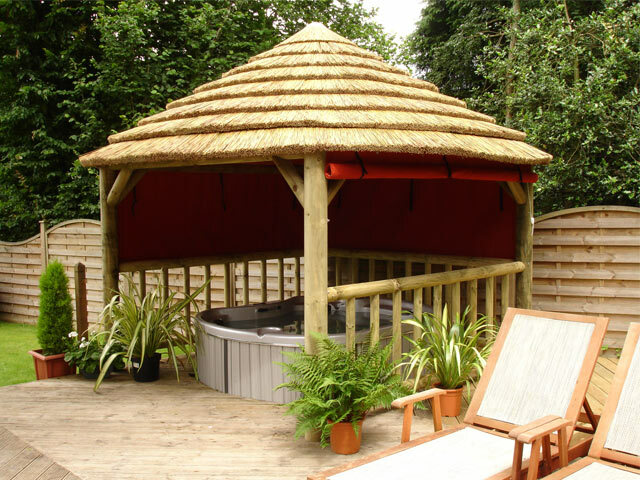 A 3.8m diameter Thatched Hot Tub Gazebo that accommodates hot tubs up to 2150mm x 2150mm. Simple to fit and secure even after building installation, Lapa’s roof linings are made from the same colour-stable UV resistant cloth as our other canvas items and will add to the water tightness of your gazebo. 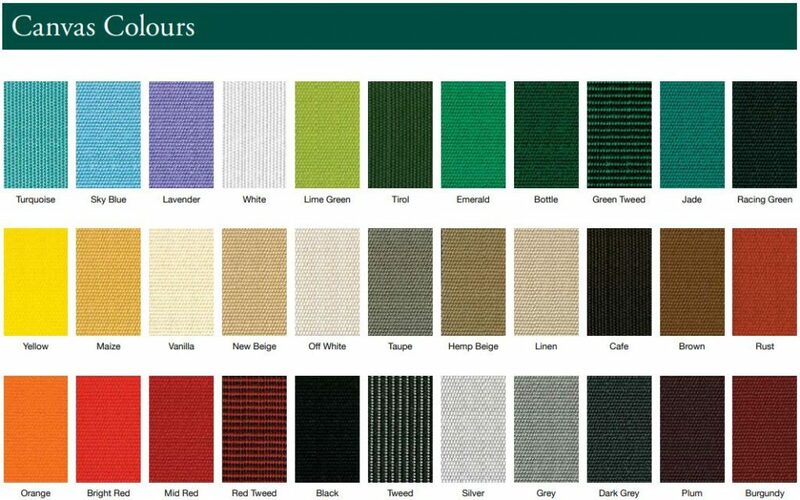 This material is the most colour-stable cloth available and each item includes a 5 year manufacturers warranty. Roof Linings are ideal for those who don’t wish to see the internal structure of their building and offer a unique opportunity to personalise the inside of your garden building. 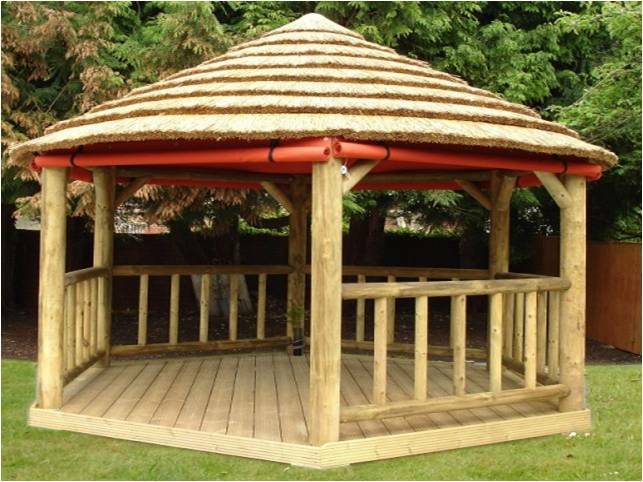 Available to fit most of our thatch tile structures; Shelter Kits, Spa Gazebos, Classic Gazebos and Contemporary Gazebos. Please note the Roof Linings will only fit The Lapa Company designed garden buildings. Lapa’s canvas side panels are made from the most colour-stable cloth available with the highest UV resistance. They are secured using marine grade turnbuckles ensuring the canvas does not move around when in an unrolled position. These simple but effective fastenings ensure the panels can easily be secured up or down. The panels add a stylish touch to your design that can be personalised by a choice of over 30 colours and provide added shelter from the elements. 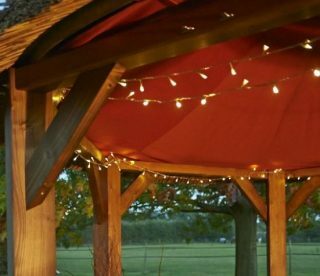 Each canvas item includes a 5-year manufacturer’s warranty and is available to fit the entire range of Spa Gazebos. Please note canvas panels over 1100mm wide will have a seam.